Giving Tuesday - Putting the heart of your business in the community! Imagine if money were no object, what sort of business would you run? Would you pay someone to do the jobs you hate or spend it on a big budget ad? Would you invest in the best staff benefits money could buy; duvet days, flexible working, free lunch, gym memberships, and unlimited annual leave? Imagine how easy it would be to recruit new staff…if anyone was to ever leave! Sounds good doesn’t it! Yet, the reality is that a business has to make the numbers work and this means a constant conflict between our heads and our hearts; what we’d like to do vs. what we can afford to do; what’s good for our staff vs. what’s good for our business! There isn’t always an easy solution, but as Winston Churchill famously said, ‘we make a living by what we get, we make a life by what we give’. Therein lies a clue, and actually, a quick glance up from the ledger books to consider the bigger picture can show there is much to be gained by giving, and it doesn’t necessarily have to be at great cost. What we’re talking about is community. That word that binds us all together in different forms of association whether at work, home, school or in our neighbourhood. It’s a proven fact that building a strong community at work, through giving to community outside of work, builds employee resilience, engagement and improves performance. Not only this, but there are benefits to improved brand image, improved staff retention, training opportunities and stronger internal and external relationships being built. A report by Accenture, on the 2020 vision for Employer Supported Volunteering (ESV), showed that engaging employees in volunteering was a huge benefit to business. 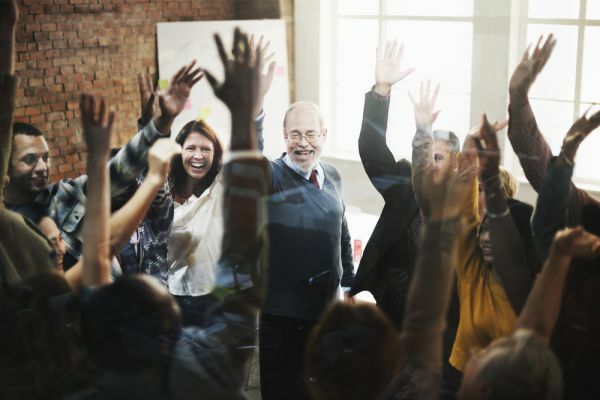 89% of people reported increased job satisfaction, 87% felt more pride in the company and 76% reported gaining core work skills such as time management, communication, influencing, decision-making and leadership. Clearly ESV is something we’re all going to be hearing a lot more about in the next few years. If you’d like your business to get ahead of the game here’s seven steps from Cordell Health on how to make ESV work for your business. Support a cause that aligns with your business vision and values or consider allowing employees to vote for what they think the volunteering opportunities should be. This will ensure their engagement with the project and build connections directly with their community. Decide how much volunteering time you will allow staff to take during working hours, make sure staff across your entire business can get involved. Lead by example and make sure senior staff are taking part. Boost participation and celebrate stories internally and externally. Set up a team to lead the volunteering activity and act as a point of reference for anyone wanting to get involved. Set up a number of different volunteering opportunities, each with a unique benefit to employees as part of their skills based training. Review, refine and improve the process annually to make sure the business and staff are getting the most out of it. Be sure to integrate your volunteering offering into your recruitment program, it’s seen as big benefit to future employees. No matter what the size is of the business or the volunteering offer, there is no act too small to reap the rewards of the benefits above. Whether it is a fund raising team challenge (such as the bike ride we are shortly embarking on at Cordell Health), a long term partnership mentoring or as a charity trustee, there is only good news about a business putting its heart in the community. For ideas about volunteering opportunities for your business contact Volunteering Matters or for more information about how to review your employee’s wellbeing so they are healthier, happier and more engaged at work contact our team at Cordell Health.